You can’t beat a good Nursery in my opinion as they are not only about what a horse has done in the past or even what a horse may do in in the future but you have to factor in what the horse could of done. Awake In Asia – A gelding by Dragon Pulse out of a moderate 5-5½ furlong winning mare looks bred for speed. He did too much early last time out when trying to overcome a poor draw at Chester in a strong looking Class 2 Maiden and his form before that looks rock solid finishing just over 4 lengths behind 102 rated Marie’s Diamond who went on to be beaten only ½ length by Van Beethoven in a Curragh Group 2 that was tactically run with a stable-mate of the winner taking her on for the lead. This step up in trip should suit Awake In Asia who I believe may be ridden slightly more patiently today and the yard are 1 from 2 in Nurseries so far this year. Don Armado – A Camacho colt out of a speedy fibresand specialist mare is My Top rated. Already showing a liking for this trip with a decent second on his penultimate start. 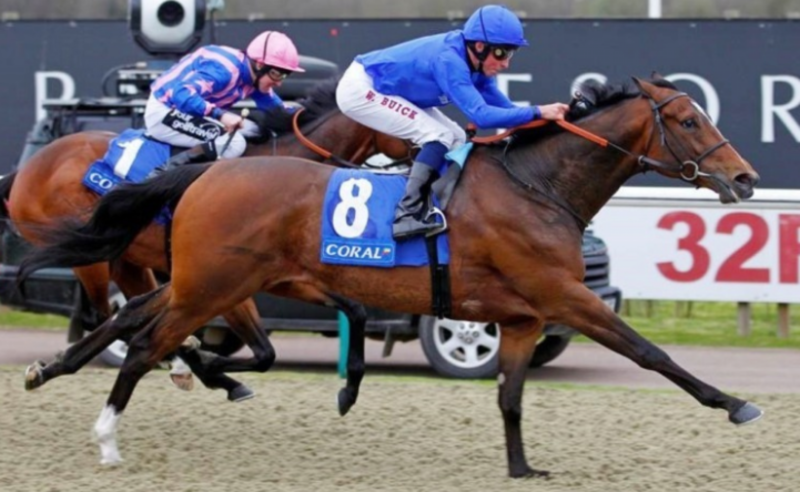 Improvising – Is the intriguing runner in the field, a filly by Showcasing out of an interesting juvenile winning mare. The yard have a decent record in Nurseries operating at a 13.65% strike rate and just over 16% with their fillies. She is My Today Top Rated runner in the field and her run on her penultimate start behind Kodyanna who has won twice since and now 88 rated reads really well in the context of this race. Spirit Kingdom – A filly by Group 1 winning sire Animal Kingdom out of a versatile mare. I think the market had this filly wrong and personally I think she will be a better AW runner and this quick straight 6 furlongs may all be too much for her. She looks the obvious leader and should take them a long for a fair way but I would be surprised if there is not something to come from off the speed to beat her. I expect this to be a tough race run at a decent gallop with Spirit Kingdom and Dancing Speed most likely to take them forward. I may be wrong about Awake In Asia but I expect him to be ridden with more restraint today so along with Don-Armado and Improvising who I expect to be ridden just off the speed and take it up in the final strides. I really can not split the three, Awake In Asia has the strongest form but does not have the figures to back that form up which with juveniles I find important. If forced to split the other two Improvising just edges it so I will play a reverse forecast on the two and a tri-fecta with all three.